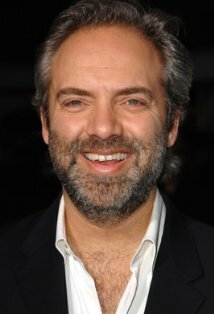 A year ago, a Sam Mendes film project went up in smoke. That got Bond fans talking whether he might return to direct Bond 25. Then, Mendes was attached to a Disney live-action adaption of Pinocchio. But now, Mendes is no longer attached to that project. So, again, there’s talk such as THIS STORY in the Express) wondering whether Mendes might direct Bond 25 after all. Originally the blog was going to ignore it. But, just in case, what follows is the text of a November 2016 post. All points still apply. Let someone else have a try on Bond 25. But that probably won’t happen if Mendes is back as director. I agree with this blog 100% let someone else direct bond 25. if my Memory serves me well, ”SPECTRE” didn’t do to well on it’s opening in america. the critics and public complained about the same thing mentioned in this Blog. too much Homage being paid in a few scene’s. But the British Bond Fans Loved it. However, Probably thats what director sam Mendes realised, too Much Homage being paid. So what does this mean for the Bond Franchise ? ReBoot. Before it’s too Late with a new director. But this is just my opinion.